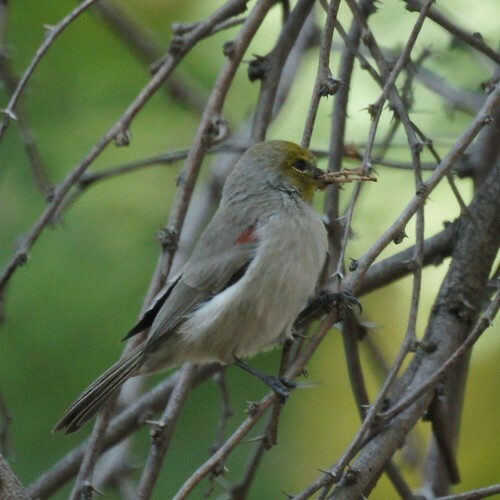 A verdin has been coming to UCR's botanic gardens for each of the past 4 falls. 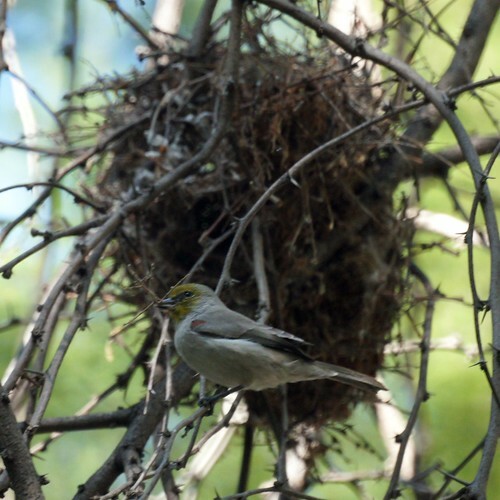 This year, a friend spotted it building a nest. Chris and I just had to go see it. 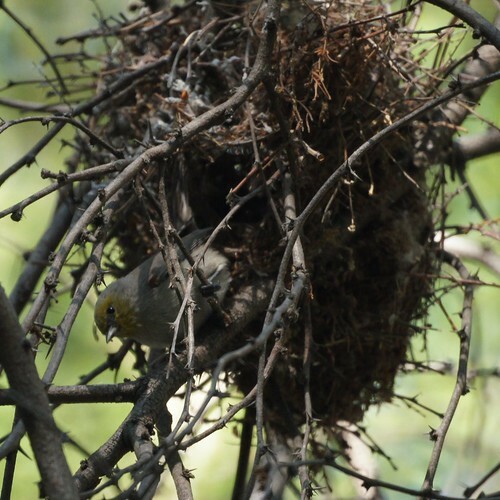 We think it's building a roosting nest for it to keep warm in the winter. It's a cute bird, but it would never tolerate an east coast winter.